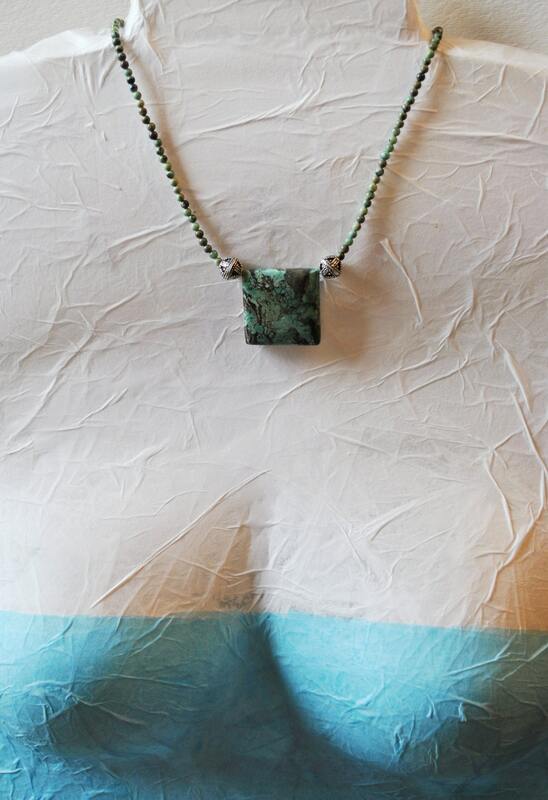 African Blue Green Turquoise Stone necklace created with focal stone and tiny round beads. 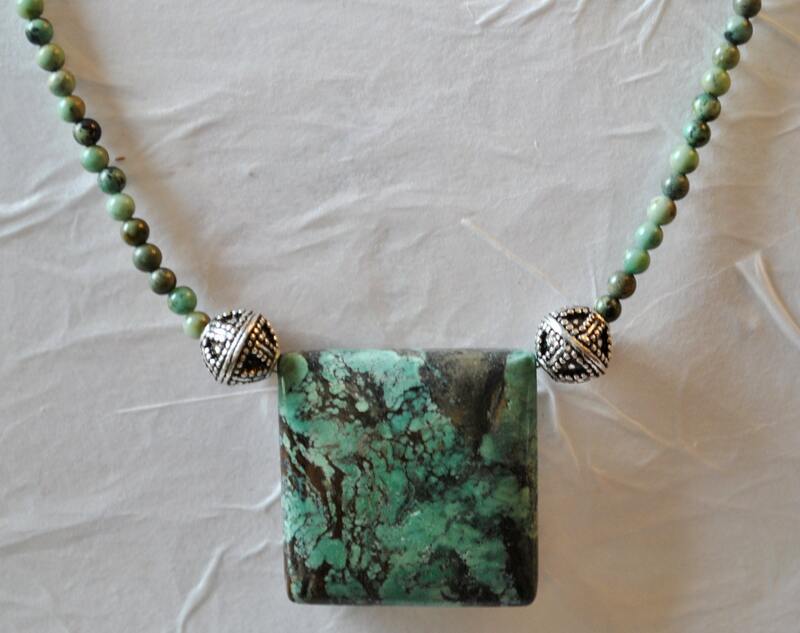 Carved silver tone beads accent the stones. Sterling silver lobster clasp. 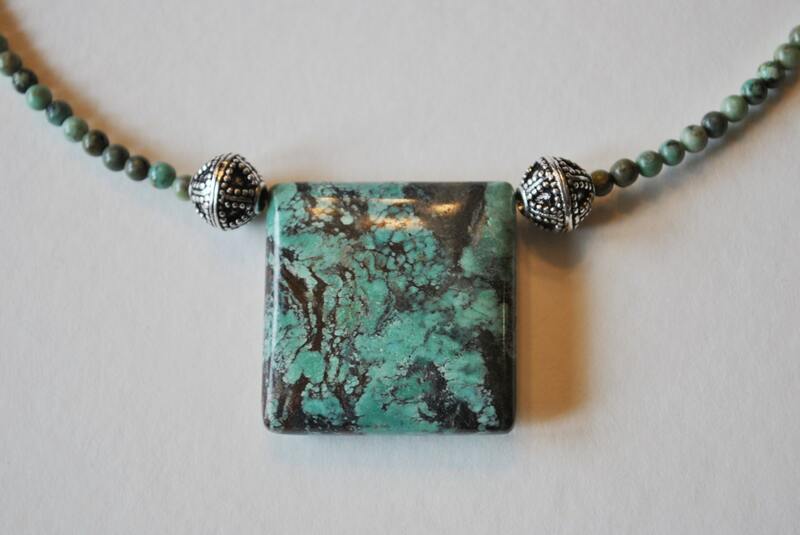 African Turquoise is not true turquoise, but actually a natural jasper found in Africa. 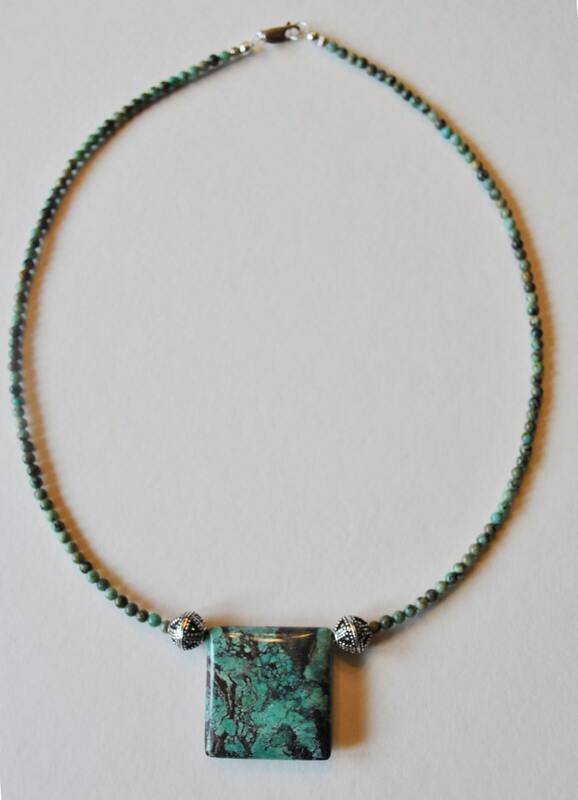 It has a matrix structure similar to that of turquoise, and is a light bluish-green. The matrix is usually dark or black. 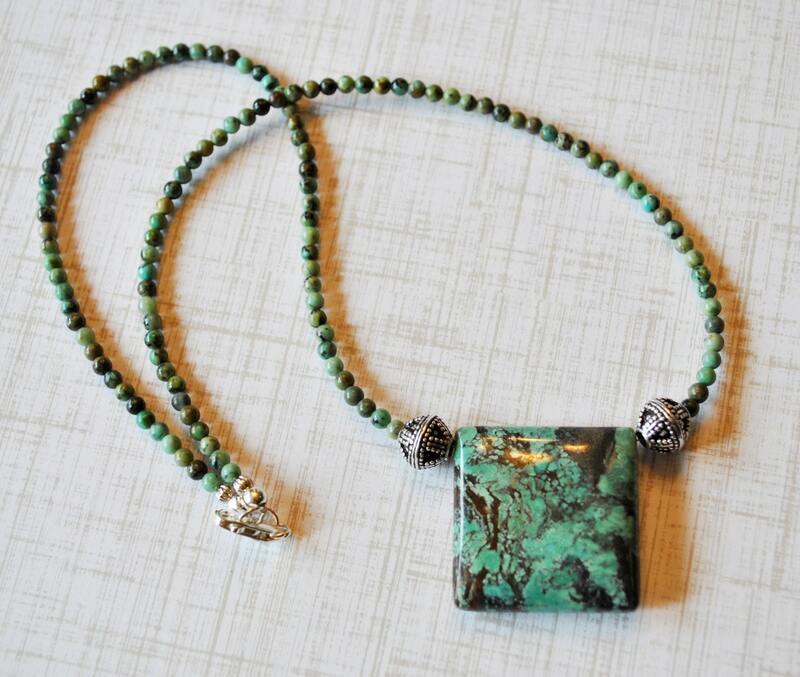 It is an interesting substitute for a true turquoise.